As one of the developing countries in the world Bangladesh is improving its financial and economic sectors. Bangladesh is the ninth largest economy in the world. For smooth monetary transaction there are fifty two commercial banks. Among them Standard Chartered Bank (SCB) is one of the leading multinational bank. SCB achieved the number one position in banking by cash management and trade services. In SCB corporate banking generates more than 40% of its revenue while treasury contributes more than 20% to the overall revenue. The goal of SCB is to be the “Bankers of First Choice”. Standard Chartered has over 600 offices in 56 countries with a strategic focus on the emerging markets of Asia, Africa, the Middle East and Latin America. The name Standard Chartered comes from two original banks from which it was founded. One of the banks is the Chartered Bank of India, Australia and China and the other bank is the Standard Bank of South Africa. In Bangladesh, Standard Chartered Bank is one of the leading multinational banks. To maintain its leading position in the Bangladesh, Standard Chartered Bank has always been keen to develop long-term beneficial relationship with trustworthy clients. To achieve this end, they have always upgraded their approaches to achieve top-level performance. In the year 2005 Standard Chartered Bank celebrates its 100 years of successful operation in Bangladesh. Standard Chartered Group was formed in 1969 through a merger of two banks: The Standard Bank of British South Africa founded in 1863 and the Chartered Bank of India, Australia and China founded in 1853. Both companies were keen to capitalize on the huge expansion of trade and to earn the handsome profits to be made from financing the movement of goods from Europe to the East and to Africa. In 1969, the decision was made by Chartered Bank and by Standard Bank to undergo a friendly merger. The Chartered Bank started operating in Bangladesh through opening a branch in Chittagong. The branch was opened mainly to facilitate the post-war reestablishment and expansion of South and Southeast Asia. The Chartered Bank opened another branch in Dhaka in 1966. After the merger of the Chartered Bank with the Standard Bank in 1969, the Standard Chartered Bank took up a program of expansion. It increasingly invested in people; technology and premises as its business grew in relation to the country’s economy. In 1993, there was an organizational re-structuring, which led to a substantial expansion of the Bank’s business. Today the bank has in total four branches in Dhaka apart from the Chittagong branch, including an offshore branch at the Savar Export Processing Zone. Standard Chartered Bank took over the operation of ANZ Grindlays Bank in Bangladesh as a part of acquisition of the South East Asian and Middle East operation of the Australia and New Zealand Banking Group. SCB with its 18 branches and booths across Bangladesh has employed more than 600 people. The acquisition of ANZ has enable Standard Chartered Bank (SCB) to access 500000 new customers and 40 branches in India and this made them one of the biggest banks in the region and of in Bangladesh it is the largest foreign bank. After acquisition Grindlays Bank is a part of Standard Chartered Import Bill Operations of Standard Chartered Bank Group. The bank presently has 18 outlets in 5 cities serving over 1, 25,000 customers in the country. With a presence in Bangladesh that spans over 100 years they believe Standard Chartered is very much a part of the heritage that make a partner in progress for the nation and its people. Standard Chartered committed to be here for people, here for progress and here for the long run – here for good. The services of Standard Chartered Bank in Bangladesh range from Personal & Corporate Banking to Institutional Banking, Treasury and Custodial services. Data collection for the project basically depended on the primary data along with secondary data sources as much as possible. In order to construct the theoretical part, the people working in Standard Chartered Bank, especially in the Trade Services were consulted. Primary data was collected through questionnaire surveys and some interviews of the import section of the department as required. For secondary information I researched relevant data and stats from the branch’s info section. Also, I looked into published data sources. Usage for methodology here refers to research or to the specific analysis techniques. This also refers to anything and everything that can be encapsulated for a discipline or a series of processes, activities and tasks. Examples of this are business development, project management and business process fields. This use of the term is typified by the outline who, what, where, when, and why. In the documentation of the processes that make up the discipline that is being supported by “this” methodology that is where I would find the “methods” or processes here. A big part of the business of Standard Chartered Bank requires their huge Trade Services to their potential customers. With the support of global network, Standard Chartered Bank provides a professional trade services to help the customers on business opportunities that develop in both domestic and international business communities. A letter of credit (L/C) is an instrument of settling trade payments. As against the open account method of payment, which offers little or no security of payment to the seller or the advance payment method of settlement as well as which offers little or no security to the buyer, this method of payment offers advantages as well as certain assurances to both sellers and buyers. A letter of credit is an unconditional undertaking given by the issuing bank at the request of the applicant to pay the beneficiary against the stipulated documents. In the letter of credit transaction, banks deal only with documents, they have noting to do with the goods. It improve the competitive status particularly with suppliers who insist on payment. Under a Letter of credit, the payment risk is effectively transferred to the issuing bank (Standard Chartered Bank). Customer can therefore negotiate better price discounts with their suppliers or request extended credit terms to help improve their own cash flow because their import payment is guaranteed by Standard Chartered Bank upon presentation of compliant documents by the beneficiary. The customer are also assured that payment or acceptance will not be made unless the documents called for under the L?C and the terms and conditions of the LC are strictly complied with. The customer maintains control over the transaction through the Letter of Credit mechanism. They can, for example incorporate a latest date for shipment, payment terms and specific documentary requirements all of which are irrevocable and therefore require the agreement of the issuing bank, Confirming Bank (if any) and beneficiary before they can be revised. A SBLC operates like a Bank financial guarantee with the main differentiating factor being that it is governed by the current version of UCP or ISP98. Functionally, a SBLC is a similar instrument to that of letter of credit that it serves as an obligation on the part of Standard Chartered Bank to pay a beneficiary based on their written demand certifying non-fulfillment of contracted terms or against stipulated documents. However, payment under a SBLC is typically generated by a negative event such as nonperformance, whereas payment under a letter of credit is typically generated by shipment of goods. SBLC’s may be used to guarantee delivery of goods on an open account basis, repayments of trade loans or securing payment for goods and services delivered by third parties. A transferable letter of credit is one that can be transferable full or partially be the original beneficiary to one or more second beneficiaries. Such letters of credit are usually issued when the ultimate buyer needs a type of commodity or goods but can only buy them through an intermediary because the latter has a relationship or sole distributor rights with the manufactures or producers of such goods. Under such arrangements the intermediary commits little funds to the transaction and can normally hide the relationship between the ultimate buyer and ultimate seller. In a revolving letter of credit the credit amount can be renewed or restored without specific amendments to the letter of credit being required. Typically, revolving letters of credit are used in situations where constant and regular shipments from the same supplier are effected over a given period although it is possible to limit the customer’s exposure at any one time. A red clause letter of credit facilitates pre-shipment finance for the beneficiary. It is often used to assist suppliers in paying for materials and labor or perhaps in middleman who needs financing to conclude a transaction. It is useful in situations where the customer’s supplier is trusted but has difficulty in sourcing the raw materials or goods unless payment is made in advance. The customers should be aware that, in L/C, they as applicant would still be liable for settlement of the advanced funds. A back-to-back letter of credit is issued using an existing export L/C opened in the customer’s favor with consistent terms and conditions as security and the source of repayment. Similar to Transferable L/C the buyer will not normally know the ultimate supplier and the customer can therefore supply the buyer without exposing sensitive information. LC Application form duly filled in and signed by authorized signatory. Form will be provided by SCB. LCA form duly filled in and signed by authorized signatory. Form will be provided by SCB. IMP form duly filled in and signed by authorized signatory. Form will be provided by SCB. Proforma Invoice or indent in three copies duly accepted through original seal and signature in all pages. In case of indent, copy of valid Indenting Registration Certificate and Bangladesh Bank permission of indenter incorporating respective supplier’s name is required. Inspection Order Form (IOF) properly filled in by the applicant (where PSI is mandatory). Insurance cover note/ Policy (coverage to be 110% of the LC value). Other additional documents (If required by the Import Policy or Public Notice or instruction issued by the Chief Controller from time to time). SCB can advise regarding required additional documents if customer provides H.S. code. Valid Suppliers Credit Reports. To be obtained by SCB prior to opening L/C. Import Registration Certificate (IRC) which will be returned later. Proof of payment of renewal fees for IRC for the concerned financial year. A declaration in company’s letterhead pad, that the importer has paid income tax or submitted income tax return for the preceding year. A new company can declare that the requirement is not applicable or the company is enjoying tax holiday. Valid and renewed membership certificate from registers local chamber of commerce and industry of any trade association established on all Bangladesh bases, representing any special trade/business. Certificate from previous banks confirming no overdue Bills of Entry in their books in the name of the importer. Applicant is normally a buyer of the goods who has to make payment to the beneficiary. Beneficiary is normally a seller of the goods who has to receive payment from the applicant. Issuing Bank refers to the bank which issues the letter of credit. Advising Bank refers to the bank that advises the credit to the beneficiary thereby assuring the genuineness of the letter of credit. Confirming Bank refers to the bank that adds its guarantee to the letter of credit opened by the Issuing Bank, thereby giving its independent commitment to pay under the L/C. An L/C may not call for it to be confirmed. Nominated Bank refers to the bank nominated by the issuing bank to honor drawings under the L/C. Reimbursing Bank is the bank authorized to honor the reimbursement claim settlement of the nominated bank lodged with it. The applicant (buyer or importer) initiates the request for a letter of credit. The issuing bank issues the letter of credit and forwards it to the beneficiary directly or transmits it to the advising bank. The advising bank authenticates and presents the letter of credit to the beneficiary. If the issuing bank nominates the advising bank to be its paying agent, the advising bank may also become the paying bank. The issuing bank may also request that the advising bank add its confirmation to the letter of credit. The beneficiary ships the goods. The beneficiary forwards the documents required under the terms and conditions of the letter of credit to the paying (confirming) bank. The paying bank examines the documents to ensure compliance with the terms and conditions of the letter of credit. If the documents comply, the paying bank receives funds from the issuing bank before releasing payment to the beneficiary. The paying bank forwards the documents to the issuing bank. Upon receipt, the issuing bank reexamines the documents to ensure compliance with the terms and conditions of the letter of credit. The issuing bank debits the applicant’s account. The issuing bank releases the documents to the applicant. Bank will acknowledge receipt and release documents strictly in accordance with instructions received from the remitting bank. They receive it either against payment if the collection instruction calls for documents against payment or acceptance if the collection instructions call for documents against acceptance. Collections can be further defined into two categories, Documentary Collections and Clean Collections. Documentary Collections: Documentary Collections are the most common form of collections and usually comprise of both financial and commercial documents which would be required in order to obtain delivery of goods. Clean collections: Clean collections comprise financial documents only which typically represent an outstanding debt or acknowledgement of payment to be made at a later date. Documentary collections are a more secure method of payment than advance payment as they can provide comfort to an importer that goods have been shipped and if an independent inspection certificate is presented comply with the order specifications. As an importer, the customers may be able to negotiate for better credit terms such as making payment 30days later rather than paying the exporter at sight because the documents are handled by banks. As the importer the customer do not have to make payment until the goods have been shipped and can negotiate better credit terms with your supplier because documents will be handled through the banking system. Standard Chartered Bank will only handle documents under collection that are subject to Uniform Rules for collection, 1995 Revision, ICC Publication No 522 and presented through a Remitting Bank. An import loan or loan against trust receipt (applicable only when the bank has title to the goods) is a short-term cash advance with recourse that enables the customer as an importer to meet your immediate payment obligations under a sight or usance Letter of Credit presentation or Import Documentary Collection. Under such arrangements, Standard Chartered Bank finances the customer’s import commitments by making payment against the Letter of Credit or Documentary Collection and receives payment from the customer at a pre-determined date in the future. Here, the credit period between the time that Standard Chartered Bank provides finance and the time the customer repay Standard Chartered Bank should be sufficient for them to either manufacture their goods for final sale or for direct sale to their end buyers. The customers will benefit for having more financial resources to clear their goods from the port and manufacture, store and arrange for final sale to their end buyers. The supplier is independent of the process of raising finance. They do not have to sign any documentation but receive payment as per the original contract terms through the Letter of Credit or Bill for Collection. As the customers are able to reimburse the suppliers on a sight basis or when the tenor is due, they should be in a greater bargaining position, typically in terms of the contract price. A credit limit sanctioned for Import Loan/ Loan against Trust Receipt. Request for financing should be made in the Banks’ standard form and duly signed by authorized signatories of the customers company as per the Bank’s records. The letter of credit should call for a complete set of original bills of lading that are consigned to order and blank endorsed or consigned to the order of the bank. These bills of lading and other essential trade documents will be released to the customer upon receipt of the duly signed trust receipt form. The underlying goods with which Standard Chartered Bank is financing must be suitable that is the Bank reserves the right to reject financing of fashionable goods, perishable goods or price volatile goods. The financing period that is accorded to the customer must be matched to their cash conversion cycle which typically would be about 90 days or less but in any case should not exceed 180 days. Financing should normally be in the same currency as the proceeds paid under the letter of credit or bill for collection. However, if the financing were in domestic currency the customer would need to enter into a forward deal with Standard Chartered Bank. A shipping guarantee is issued by Standard Chartered Bank on the customer’s instruction when the vessel carrying the goods arrives earlier than the original bill of lading and the customers are required to clear the goods or face the possibility of incurring demurrage charges. Under such circumstances, the shipping documents may still be in transit to the bank or may have been lost in transit. If the goods were transported by air, Standard Chartered Bank would issue Delivery Orders to authorize the release of goods at the airport. Shipping guarantees are typically only issued when Standard Chartered Bank is the L/C issuing bank. The customer will be able to clear the goods before receipt of the original shipping documents thus avoiding demurrage charges. A Shipping Guarantee Application on the Standard Chartered Bank’s standard form which incorporates a counter indemnity and Trust Receipt should be submitted together with the shipping company’s agency indemnity form in duplicate. An undertaking to accept all the discrepancies. If the shipping guarantee is issued against a letter of credit, once the documents are received along with an authority to debit their account. An undertaking to return the original guarantee duly discharged by the beneficiary upon receipt of original bill of lading. Copy of related commercial invoice and bills of lading should be presented along with the shipping guarantee form. In the absence of invoices, alternative documents such as insurance policies should be used to determine the value of goods. In each step of the L/C processing, The SCB server is updated with latest status and figures. And once the L/C is processed and all the payments are made, all the associated documents (hard copies) are preserved in folders. Note: All the listed documents types may not be available. However, starred (*) documents must be presented. During 3 months of my internship program, I have observed the working environment and the operations of Standard Chartered Bank. Therefore, I have done a SWOT analysis through which an overall picture of the bank can be given. Good Corporate Governance is an issue of vital importance to the Board and Management of Standard Chartered Bank. The board of Directors, as the apex level of authority, is responsible and accountable for the overall direction and is ultimately answerable to regulatory authorities and shareholders for the activities, strategies and performance of the company. Standard Chartered Bank board has a formal schedule of matters especially reserved for its decision including corporate strategy, approval of budgets and balance sheet, annual financial results, director appointment, proposals for dividend, approval of major corporate transactions and credit proposals beyond the delegated business power of the management. The senior management of the bank is responsible for promoting highest level of business ethics and integrity. Their aim is to create and foster a culture throughout the bank that emphasizes and demonstrates the importance of maintaining high business ethics and close relationship with customers. Customers are the focal point of all the banks activities. Standard Chartered Bank is committed to its customers for excellent, innovative and speedy solutions across all customer segments. The bank provides a full range of banking services to small and medium size companies and also to private individuals and entrepreneurs. They have expertise corporate banking, retail banking and trade services. Standard Chartered Bank maintains an equal opportunity in recruitment, training and promotion of all employees regardless of gender or ethnic origin. The bank tries to pay all its employees the best compensation package. Accordingly, Standard Chartered Bank’s salary structure is revised upward on performance basis of the employees. The bank also keeps employees informed about the progress of the business and their part in it for their constant commitment to the bank. They also encourage the development of the employee involvement in the bank through formal and informal meetings. Standard Chartered Bank has a personnel training society with good resources. They give regular training to the officer of both middle and lower levels. Again if there is any strategy or technology change, there will be special training program arranged based on individual needs. The bottom-level employees and even the mid-level managers at Bank don’t take part in the decision-making process. So the information flow is mostly one way. Though Bank has some unofficial way to collect information from the bottom level employees, but it is not effective at all. The front desk employees are often found not to be too keen on taking care of their customers. Though they have a long employee line in every branch, their loyalty to the company and their ethics level are not very satisfactory. Many of the employees have been found to limit thinking to their own interest only, which indicates that there is problem with their attitude. Some of them create unofficial groups through which they solve each other’s problem and support each other to achieve their personal goals, not too much concern about their personal interest. Standard Chartered Bank has a very strong market image as one of the leading multinational banks. Local people as well as people in foreign countries choose SCB to have best service. If they expand their business and utilize this strength as more diversified business opportunities, they can create even stronger image in the country. Standard Chartered Bank could also boost the number of branches to take advantages of increase demand among the existing customer with better services and thus generate more net profit. In Bangladesh number of garments industry is increasing day by day. Therefore, the demand for L/C is higher. So, Standard Chartered Bank can take the advantage of this huge opportunity. Standard Chartered Bank can improve its customer service by tailoring the individual business needs for trade services. This service enhancement collectively will allow a customer to manage their business finances more efficiently and conveniently. Standard Chartered Bank’s online banking is up to the standard that customer needs. They are always very proactive in terms of giving the best quality service through online to their loyal customers. This will give them better opportunity to acquire more market share. The government is favoring private sector investment which is good for Standard Chartered Bank as they can now expand their business with the favoring rules and regulations of Government of Bangladesh. This kind of government support will lessen their problems as it’s sometimes getting really difficult for the foreign banks to adjust their business in a different country. As the banking industry of Bangladesh has promising prospects in, Standard Chartered Bank sometimes may face competitions in trade services with the entrance of new local potential competitors. However, Standard Chartered Bank has successfully created better image than those of local banks in Bangladesh. Standard Chartered Bank faces political interference in L/C process with a big amount of money and also there is to some extent unethical recruitment of employees. Also there is 45% tax rate for all financial institutions, which is very high and also a real threat for the growth of the company. It is the Central Government who changes the rules and regulations towards foreign exchange policies. According to their economic conditions they want to implement. And whatever changes the Government makes the banks in Bangladesh both local and foreign have to abide by it. Standard Chartered Bank sometimes faces problems regarding the rules because they also have to think about their profit as well which may difficult for them to maintain for the strict rules. The political environment of Bangladesh is quite unstable and it affects the industry from performing efficiently. In Bangladesh where the political environment is absolutely unpredictable the external forces constantly keep on changing. For instance, a sudden call of hartal or strike might end up with the cancellation of the process of letter of credit. Thus, there is an enormous possibility of incurring a huge loss. There is no doubt that Standard Chartered Bank is one of the leading multinational banks. However, day by day more competitors’ banks are coming in the banking industry. Therefore, Standard Chartered Bank has to be every careful about their each movement in terms of their development and keeping their position always high in the market. They are doing well. However, Standard Chartered Bank has some threats and weaknesses that will turn down the process of this bank to a vast amount. It is been seen that customer complaint has increased recently than before for this reason it is high time that the employees are trained up more to avoid future problems. Some recommendations are proposed below. Standard Chartered Bank senior officials should be more cooperative to their subordinates and arrange for workshops/ training programs to keep them motivated in their work. Standard Chartered Bank should lower its charges immediately to prevent the loss of customers. 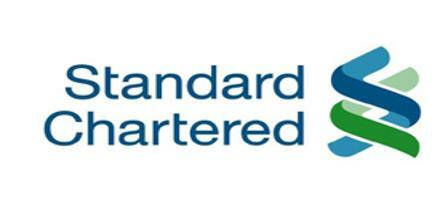 The establishment of more branches may boost up the chance of becoming more customer base for Standard Chartered Bank. The authority power should be decentralized according to their rules and responsibility, there is a lot of authority but it should be reduced. The main authority power should provide the responsible branch manager to reduce the unnecessary hassle then it will be better for the bank. There exits dissatisfaction among the employees. Their promotion is very slow manner so in future the switching tendency will increase. Employees’ salary structure is not so much standard if we compare with other private banks. So their skill employee always is searching for better offer which will affect the bank performance. New updated banking software should be installed for Trade Services and bank should take proper step for implementation of BASEL II. The bank has to increase their advertisement and also increase their social activities. So they have to explore their name to the people that every one can know about SCB. In this time there is so much competition between each other that a single step can change the all direction. Today’s people are very much willing to do banking, which one is near to them. So if the number of branches will not increase than it can lose the customer. Throughout the last 3 months I have got a vast opportunity to observe the overall service process of Trade Services of Standard Chartered Bank. I have also got the scope to interact with clients directly and reveal their expectations and perceptions about the bank’s services. Not to mention, working with the team was such a great experience. I am sure the bank’s Trade Services will continue to perform satisfactorily like recent years. Standard Chartered Bank management just has to make sure that they can keep their goodwill and respond to the desired changes required by customers. Banking is becoming more vital for economic development of Bangladesh in mobilizing capital and other resources. Standard Chartered Bank is also extending such contributions to the advancement of the socioeconomic condition of the country. Standard Chartered can utilize any opportunity in the banking sector with a huge number of qualified and experienced human resources. It is pioneer in introducing many new products and services in the banking sector of the country. Moreover, in the retail-banking sector, it is unmatched with any other foreign banks because of its wide spread branch networking thought the country. As an organization the Standard Chartered Group has earned the reputation of top foreign banks operating in Bangladesh. The organization is much more structured compared to any other foreign bank operating in Bangladesh. It is relentless in pursuit of business innovation and improvement. It has a status as a leader in financing manufacturing sector. They are fully committed to conduct its business activities in economically, environmentally and socially sustainable manner.